The growing tip of the root wriggles through the growing medium following the line of least resistance. Roots are able to enter cracks that are or can be readily opened up to about 0.2 mm in diameter, which is about the thickness of a pencil line. Compacted soils severely restrict root exploration, but once into these narrow channels the root is able to overcome great resistance to increase its diameter. Anything which reduces root exploration and activity can limit plant growth. When this happens action must be taken to remove the obstruction to root growth or to supply adequate air, water and nutrients through the restricted root volume. The root normally provides the anchorage needed to secure the plant in the soil. Plants, notably trees with a full leaf canopy, become vulnerable if their roots are in loose material, in soil made fluid by high water content or are restricted, e.g. shallow roots over rock strata close to the surface. Until their roots have penetrated extensively into the surrounding soil, transplants are very susceptible to wind rocking: water uptake remains limited as roots become detached from the soil and delicate root growth is broken off. The plant may be left less upright. In order to grow and take up water and nutrients the root must have an energy supply. A constant supply of energy is only possible so long as oxygen is brought to the site of uptake (see respiration). Consequently the soil spaces around the root must contain air as well as water. There must be good gaseous exchange between the atmosphere around the root and the soil surface. This may sometimes be achieved by the selection of plants that have modifications of their structure that enables this to occur throughout the plant tissues (see adaptations), but it is normally a result of maintaining a suitable soil structure. A lack of oxygen or a build-up of carbon dioxide will reduce the root's activity. Furthermore, in these conditions anaerobic bacteria will proliferate, many produce toxins such as ethylene. 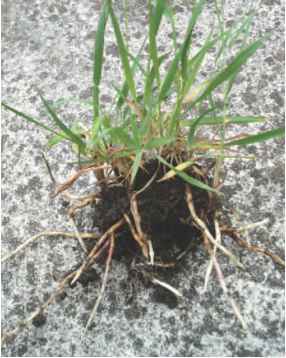 In warm summer conditions roots can be killed back after one or two days in waterlogged soils. Figure 17.2 Composition of a typical cultivated soil. 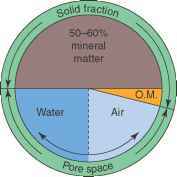 The solid fraction of the soil is made up of mineral (50-60 per cent) and organic (1-5 per cent) matter. This leaves a total pore space of 35-50 per cent that is filled by air and water, the proportions of which vary constantly. bacteria, fungi and nematodes, too small to be seen with the naked eye). Larger organisms such as earthworms and insects are also normally present (see p321). The composition of a typical mineral soil is given in Figure 17.2 . which also illustrates the variation that can occur. The content of the pore space varies continually as the soil dries out and is rewetted. 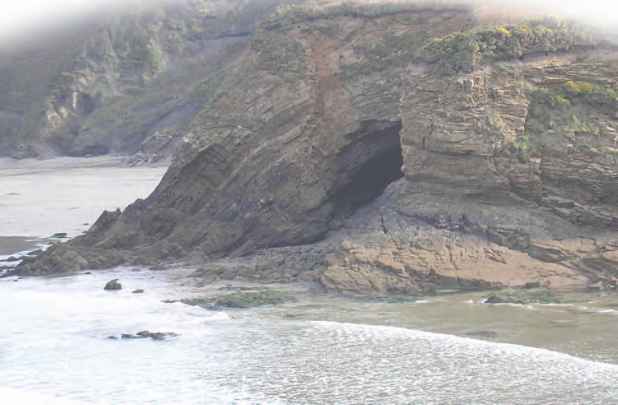 The spaces can be altered by the compaction or 'opening up' of the soil which in turn has a significant effect on the proportions of air and water being held. Over a longer period the organic matter level can vary. The composition of the soil can be influenced by many factors and under cultivation these have to be managed to provide a suitable root environment. 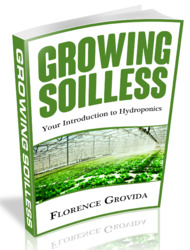 Organic soils have considerably higher organic matter content and are dealt with in Chapter 18.